To kick off our new player collection, I thought I would show off a few of our favorite Luis Aparicio certified autographs over the next few days. First up is a card from the 2004 Upper Deck SP Chirography set. Great set with a simple desin, on card autographs, & a great checklist. 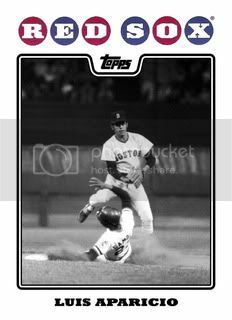 This is a card that I had my eye on for awhile but only recently purchased. It's pretty rare to get a Lil Luis autograph with any kind of inscription. This one's pretty cool and it's only numbered to 25. 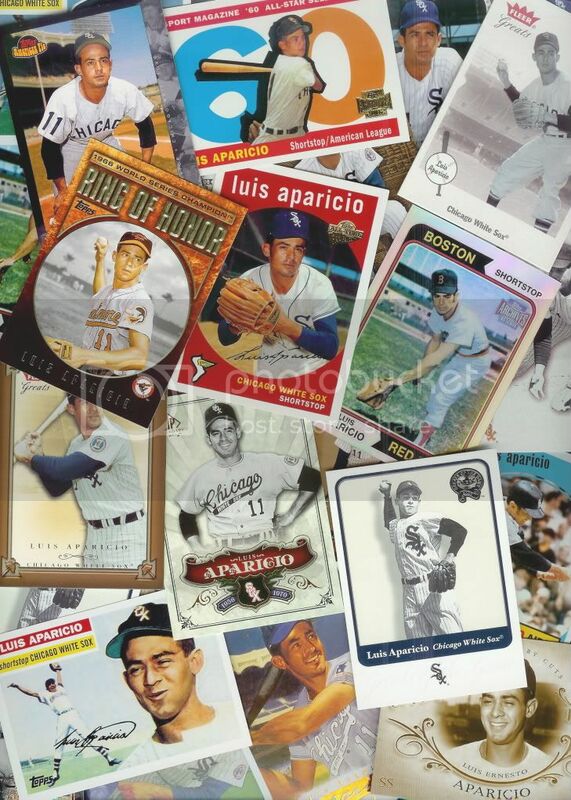 I chose today to announce our Luis Aparicio player collection because today is his 77th birthday. Happy Birthday, Lil Luis! Here's a custom 2008 Topps card to celebrate! Here at My 2008 Topps Set Blog we are proud to introduce our first player collection! 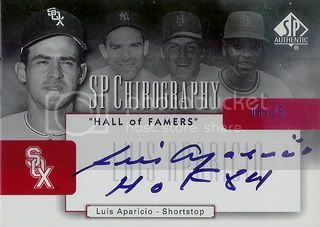 It is of Chicago White Sox Hall of Fame shortstop, Luis Aparicio! My dad & I have been collecting Lil Luis autographs for several years now so it seemed like the perfect player to officially launch a collection for. We'll mainly be collecting autographs with a few vintage and modern day cards mixed in as well. 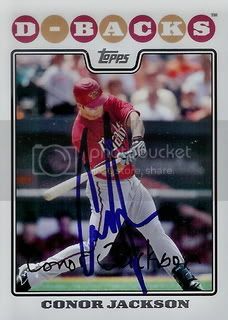 Our primary focus on the blog will still be 2008 Topps cards of course but on the days we don't have a new signed card to post we'll probably throw in a post on one of our favorite Aparicio cards. This is our final post for Spring Training 2011. 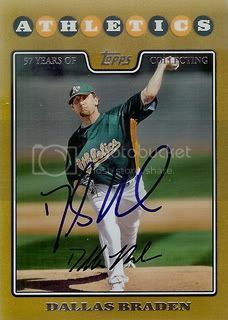 Dallas Braden signed his gold border parallel card for us. Really cool card signed by a really nice guy. 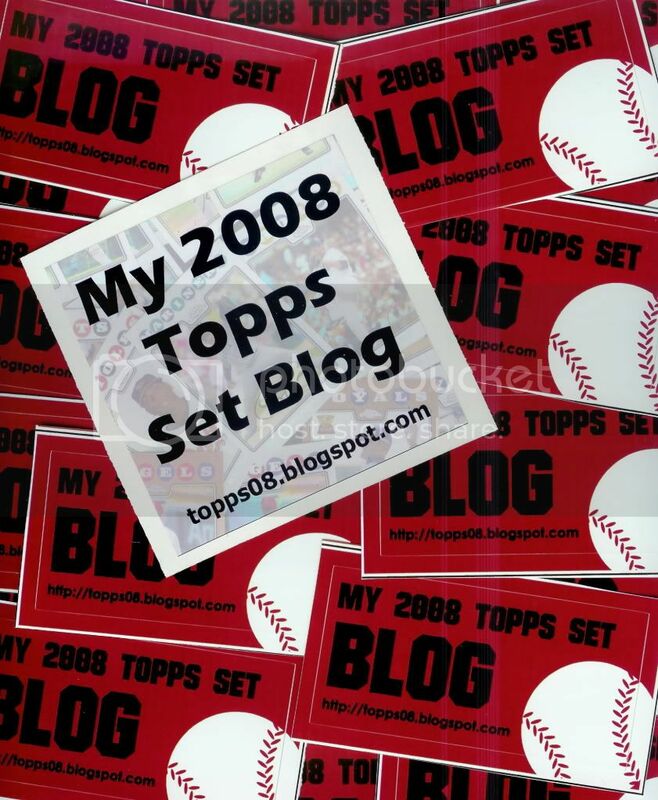 Tomorrow will be a historic day here at My 2008 Topps Set Blog. Please check in for a BIG announcement. 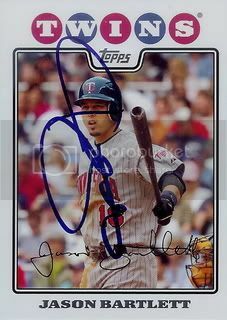 Former Minnesota Twins infielder and 2009 American League All-Star, Jason Bartlett signed his card from the 2008 Topps Series One set for us during Spring Training. Jason also has a card in the Updates & Highlights set but we weren't able to get that one signed. Maybe next year. Former Florida Marlins outfielder, Josh Willingham is off to a pretty good start with his new team. That's good news for Oakland A's fans because they're in desperate need for more offense. Josh signed this card for us at Spring Training this year. 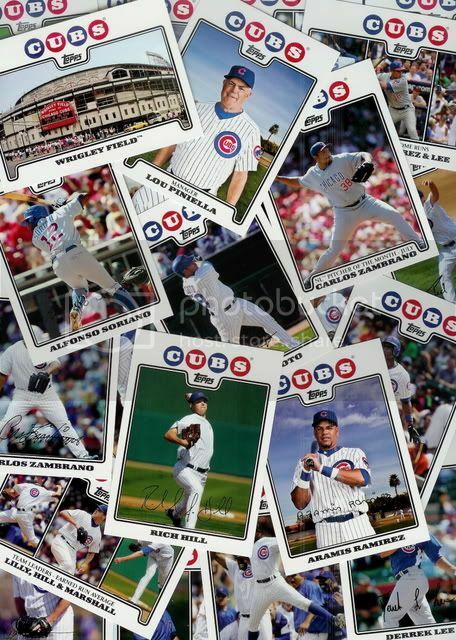 I finally broke down and picked up a 2008 Topps Chicago Cubs 55 card Team Gift Set. There are a lot of nice cards in this one including a card of Wrigley Field and former Cubs coach Alan Trammel. We've almost done posts for all of the 2008 Topps cards we got signed during Spring Training 2011. 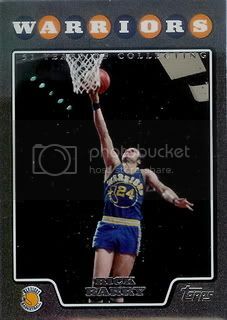 We have a few more Gold Border Parallels to post. 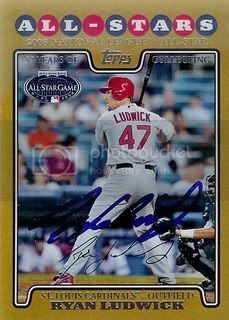 Our next one is of current San Diego Padres outfielder, Ryan Ludwick. A few weeks ago, the fine folks at BuildASign.com sent me an email letting me know I could try out their products for free. After seeing other blogs take them up on their offer, I finally decided to check it out for myself. BuildASign offers a large variety of customizable products such as signs, banners, magnets, and stickers. Most of what they have I didn't find useful for my blog but I did create some stickers. The larger one is a 4x4 sticker and was my own design. The smaller red one is 2x4 and was created using one of their templates. Kind of cool for free, I guess. 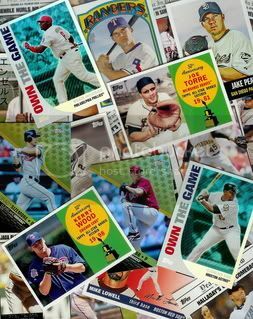 Dennis from Too Many Grandersons sent me an email a few days ago and asked if I was interested in some 2008 Topps inserts. Of course I said yes. He sent over a great package with a ton of cards I didn't have including a nice stack of gold bordered parallels. Thanks, Dennis! These are all awesome! 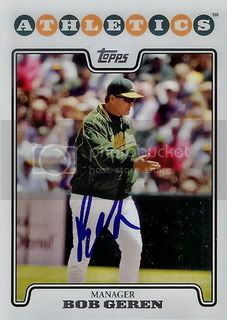 Last year, Mark Ellis signed his base card from the 2008 Topps set for us. This Spring, he signed the Gold Border Parallel. Another nice additon to our collection. 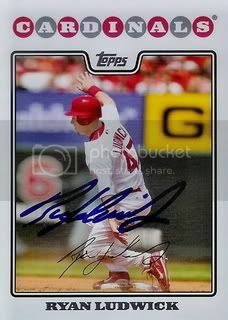 Kevin Kouzmanoff signed his card from the 2008 Opening Day set for us. It's a pretty dark card but he managed to sign it in the lighter area. Thanks, Kevin! 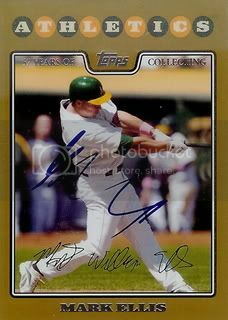 Former Arizona Diamondbacks first baseman, Conor Jackson is now with the Oakland A's. This guy was a fan favorite here in Arizona but I'm not sure if he'll see much playing time in Oakland. The elusive Bob Geren signed his 2008 Topps card for our set. Glad to get this one because I always seem to miss this guy or he's in a bad mood and won't sign. 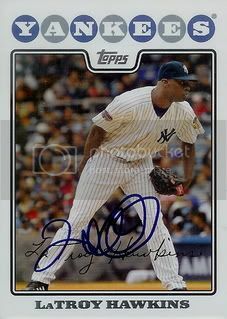 Veteran reliever, LaTroy Hawkins signed a card for our set. LaTroy made his MLB debut back in 1995 with the Minnesota Twins. We caught up with him during Spring Training in Maryvale at the Milwaukee Brewers camp. 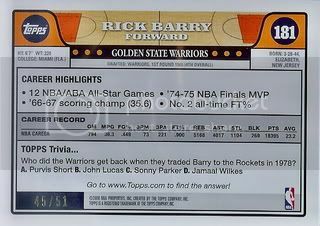 I originally did a post on this card a few weeks ago right before I sent it to Rick Barry. Well it came back on Friday signed wonderfully in silver Sharpie. Thanks, Rick! 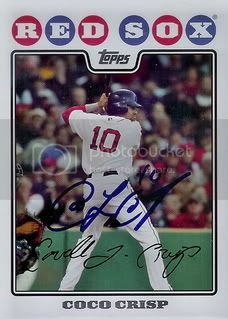 Oakland A's outfielder, Coco Crisp signed his card from the 2008 Topps Red Sox Team Gift Set. A nice card with a different picture than the base version. Got a nice return today from the NBA's Most Valuable Player in 2007. 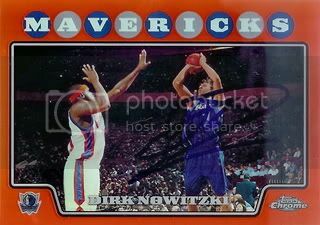 Dallas Mavericks star, Dirk Nowitzski signed an Orange Refractor from the 2008 Topps Chrome Basketball set. 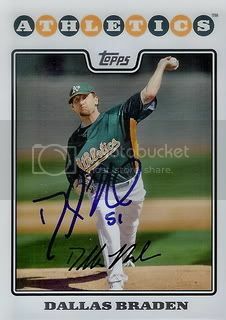 Oakland A's starting pitcher, Dallas Braden signed his card from the Updates & Highlights set for us. You may remember Dallas from his perfect game & arguement with A-Rod last year. 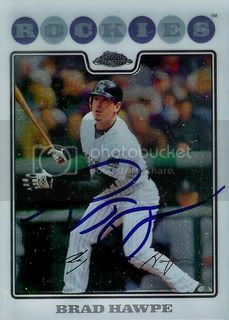 Here's another 2008 Topps Chrome card we were able to get signed during Spring Training. 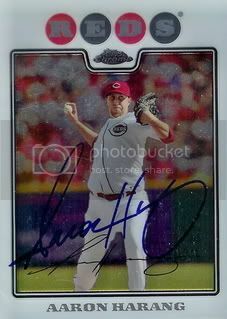 This one is of former Cincinnati Reds ace, Aaron Harang. This is probably the best autograph we got this Spring Training. 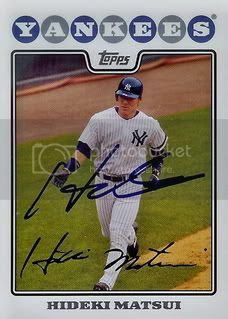 Former New York Yankees outfielder, Hideki Matsui signed a card for our set. Hideki is a two-time All-Star and was MVP of the 2009 World Series. This is one that I thought we might never get signed. It's great to have it now as part of our collection. 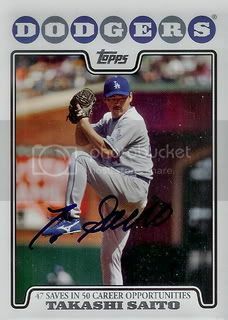 Lucky for us Takashi Saito had two cards in the 2008 Topps Dodgers Team Gift Set. The second commemorated him getting 47 saves in his first 50 opportunities. Not bad. 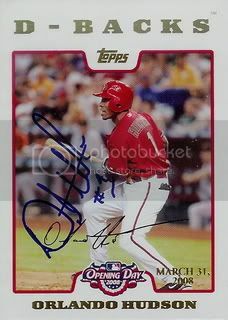 Orlando Hudson signed his white border parallel card from the 2008 Topps Opening Day set for us. This is the second white border parallel card that we were able to get signed during Spring Training. 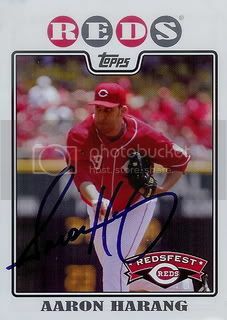 Aaron Harang signed his card from the 08 Topps Redsfest Team Set for us. He did pretty good in his debut for the Padres earlier this week. Maybe he can become one of the top pitchers in the NL again. Yesterday my dad forwarded me a link to an article that he found on MLB.com about Cleveland Indians outfielder, Austin Kearns. His four-year old son has autism. I found it to be quite interesting and informative. Please check it out using the link below. This is only the second 2008 Topps Basketball card in our collection but it's a good one. 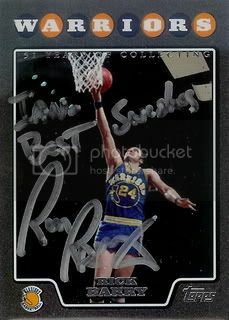 We recently purchased a black border parallel card of Basketball Hall of Famer, Rick Barry. Nice card of the 12x All-Star and it's numbered to just 51. 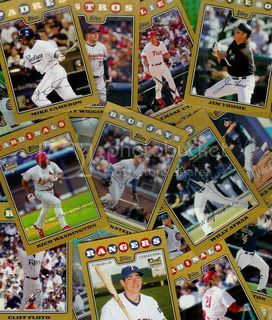 This Spring Training we were able to get a decent amount of Chrome, Opening Day, and Gold Border Parallell cards to go along with our 08 Topps base set. One of the players who signed a Chrome card for us was Brad Hawpe. Took the entire family to the card show this afternoon. Nothing too exciting. Oh yah Wade Boggs was there signing autographs for $65 a pop. I passed on that and almost everything else at the show. I did go home with a few 08 Topps cards. 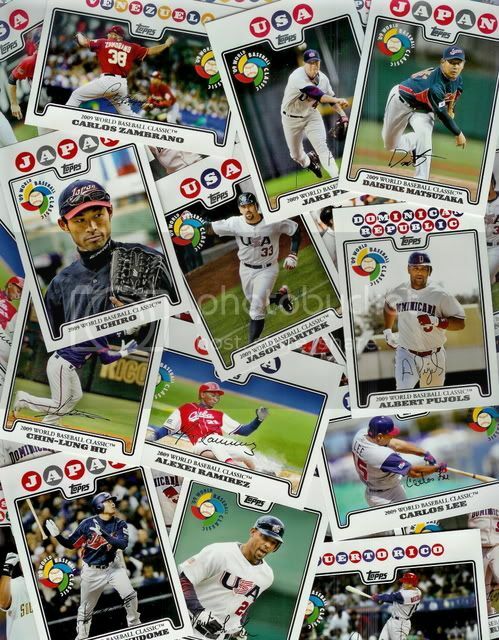 Someone had a bunch of the World Baseball Classic inserts in their 4 for $1 box. I picked up a few I didn't have and a few extras just because I could. On a side note, today is World Autsim Awareness Day. Please click here if you'd like to learn more or make a donation. Thank you. 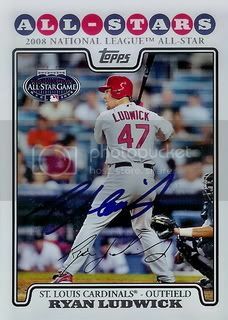 Ryan Ludwick was an All-Star in 2008. 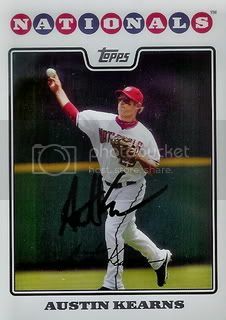 We were lucky enough to get his 08 Topps All-Star card signed too. Hopefully Ryan puts up big numbers again in 2011 for the Padres. 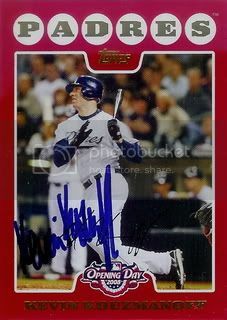 Here's another card we got signed at the Padres Spring Training Fan Fest. Former St. Louis Cardinals outfielder is in Peoria for his first Spring Training with the Padres.